How long before autonomous grocery delivery becomes a reality? And what does it mean for food and drinks firms? Several grocery retailers are waking up to the idea of using autonomous vehicles to deliver shopping. But, how many years will it be before it's part of our everyday life? And, what can food and drinks firms start to do about it now? 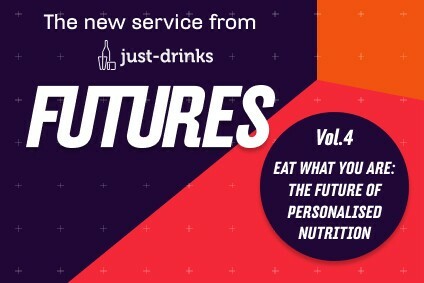 In the first of a new future insights platform for just-food and just-drinks, we explore the reality of autonomous grocery delivery. By 2025, the use of tech in last-mile order fulfilment could cut delivery times to within ten minutes of purchase, according to a report from packaging firm Tetra Pak. Moreover, efficient, autonomous delivery will significantly reduce costs. Analysts at GlobalData believe it is likely that "in the future, autonomous vehicles will be the main source for all deliveries". A handful of supermarkets have already embarked on autonomous vehicle pilot schemes with tech companies, signalling several trends have converged to make driverless grocery delivery a real possibility. In June this year, US grocery chain Kroger announced a partnership with self-drive vehicle creator Nuro to trial food and drink delivery. "Partnering with Nuro … will create customer value by providing Americans access to fast and convenient delivery at a fair price," said Yael Cosset, Kroger's chief digital officer, at the time. In mid-August, the company selected Scottsdale in Arizona as the city for their self-driving grocery delivery pilot. Nuro said it will use its self-driving Toyota Prius fleet and will introduce its "custom R1 driverless vehicle" in the Autumn. Consumers place delivery orders through Kroger division Fry's Food Stores' mobile app and schedule them for same-day or next-day delivery for a flat fee of US$5.95, with no minimum order requirement. 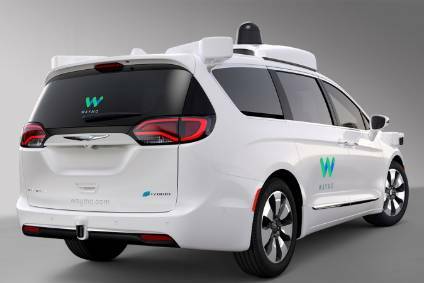 The move follows an initiative by Waymo - formerly the Google self-driving car project – which delivers both shopping and people to their homes, in partnership with Walmart. 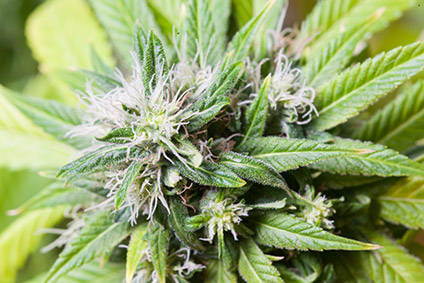 The scheme operates in the urban area around a Walmart store in Phoenix, also in Arizona. In the UK, online grocer Ocado made a move last year to pilot 'Cargo Pods' as part of an GBP8m (US$10.2m) initiative in Greenwich, London, called the GATEway project (Greenwich Automated Transport Environment). The programme was jointly funded by industry and the UK Government's Centre for Connected & Autonomous Vehicles. In a follow-up survey, Ocado shoppers offered an overwhelmingly-positive response to the service experience (96%) with 86% agreeing driverless services would enable deliveries over a broader range of times and dates, 88% believing it would be a secure service and 70% stating it would make arranging home deliveries easier. However, while the majority of participants were happy to carry goods into their homes, they did raise concerns over accessibility issues for those with additional mobility needs, prompting a need for further research. According to GATEway, it will be two to three years before we see driverless vehicles deployed in controlled environments undertaking routine operations - such as delivery. When it comes to wider use, the scheme says it will be five to ten years before they are on the roads, "mixing with urban traffic". Though there will be many hurdles, the business case for retailers to introduce automation into last mile delivery is a good one. Prem Balwani, the CEO of US e-commerce grocery platform and personal grocery shopping app iGrab.it, says the last-mile delivery is "such a complex task in the entire equation for e-commerce and local grocery delivery," which "adds a lot of cost". A cost, he believes, that can eventually be reduced by driverless delivery. "There are going to be a lot of people who will be able to participate in this ecosystem once last-mile delivery cost goes down and driverless is definitely going to get us there," he says. Why will this trend keep moving forward? There are several wider trends leading us towards autonomous grocery delivery. When it comes to the actual vehicles, just-auto editor Dave Leggett says many trends in mobility have converged to spur on development; automation technology, electric vehicles and connectivity. There is also a desire to increase road safety. According to the World Health Organization, more than 1.25m people die in road traffic accidents every year, while traffic injuries are the leading cause of death among people aged between 15 and 29 years. Increased urbanisation. According to the UN's Department of Economic & Social Affairs, two-thirds of the world's population is expected to live in urban areas by 2050. Cash-rich, time-poor middle classes. Statistics from the Brookings Institution suggest that there are now 3.8bn middle-class people in the world - this is expected to rise to 5.3bn by 2030. Consumers expect everything to be deliverable. Tech disruptors such as Lyft, Uber, Instacart, iGrab.it and Drizly mean people can order what they want, whenever they want it. Continued shift to online spending. According to a recent report from US-based strategic advisory firm Brick Meets Click, online's share of total grocery spending in the US rose from 4.5% in 2017 to 5.5% in 2018 - a 22% increase. Moreover, Brick Meets Click chief architect Bill Bishop says automated delivery and e-commerce share a number of trends. "There are two trends they have in common: both are examples of consumers buying services that they used to perform for themselves and both are enabled by advances in digital technology." While there's a strong business case for driverless grocery delivery, the reality may not be as close as we think. Take Uber's latest financial results, the ride-hailing company, which made a loss of $891m in Q2 2018. According to tech website The Information, the loss was driven by investment in autonomous vehicles - a unit some investors have asked the company to ditch. Victor Martino, a California-based food industry consultant, also says the technology is "way out front" of public policy. "There are no autonomous vehicles on the road at all in the US, except for tests," Martino notes. GlobalData also points out that "the initial investment in a fleet of autonomous vehicles will be incredibly high". Then, there's the consumer: The problem may shift from last mile to last yard. The promise of increased efficiency and cost savings from the adoption of autonomous grocery delivery makes for a pretty compelling business case (once the technology is more readily available). But, what's in it for the consumer, asks Alistair Shutt, senior director at SKIM, global market research and decision behaviour experts. SKIM ran a short survey in August with 100 UK adults from their eShopperTaskForce, a broad mix of people who like to own new or proven technology, who are engaging with digital experiences and who value consumer consultation opportunities with retailers & brands. Let's start with the positives - from a consumer perspective, what jobs need doing in relation to home grocery delivery? Is there a gap for automation to fill? Over a six-month period this year (March-August), home delivery of groceries was commonplace, yet this was mostly on an 'occasional' rather than 'regular basis' (38% versus 27%) suggesting delivery, on the whole, is not yet considered routine. Would further automation – either pre- or post-transaction – support more regular and routine use of the home delivery option? What would consumers be looking for to make this leap? Among those surveyed, more than nine in ten consider home delivery of groceries a positive thing, demonstrating the vast scale of opportunity for consumer-centric delivery propositions. In our research, the primary benefit of home delivery is the avoidance of effort and hassle in carrying goods home (60%). Another key benefit is the time saved to do other, more desirable, things (44%). 17% highly value the attendance of a human driver due to the better customer care they provide. For deliveries where the 'job' that customers need doing is to carry goods beyond the kerbside or the front door (upstairs, through the home, unpacking bags in kitchen, etc), the opportunities for premium delivery services could be substantial. Based on previous SKIM research, we know when consumers go into stores they are seeking experience or assistance; price or convenience are the main considerations for online purchases. This will remain true as retailers move towards automation. While some shoppers saw no problems with recent home delivery of groceries, the majority (63%) reported a range of negative experiences. The problems begin before delivery - some are forced to take time off work and others are not at home when the grocery delivery arrives. Many shoppers take issue with grocery delivery drivers – saying they do not turn up/are late, are unfriendly/unprofessional, or leave items in undesirable places. Further disappointment hits on opening the packages, when many find incomplete deliveries or items damaged in transit. If automated delivery could improve consistency and reliability, then that would be a big sell for consumers. So, what are the barriers? Many of the concerns map the broader driverless vehicle debate. For example, 22% were concerned about the impact on road safety. Specifically on grocery delivery, respondents feared low competence of early solutions in carrying out the fundamentals of delivery (navigation, timeliness, reliability). Some said they would miss the personal interaction, with no-one to help carry products through the home, fix issues, or take proactive action to avoid theft of items. These findings further support the need to demonstrate that an automated service will be reliable, but also that it will be worth exploring a premium model, with a human working alongside an automated system. Alistair Shutt is a senior director at SKIM, global market research and decision behaviour experts, consulting on strategies for service development and segment or revenue growth. Autonomous vehicles are increasingly seen as at the heart of a radically different future landscape for transport solutions in the world's major urban areas. But don't believe all the hype, says just-auto's Dave Leggett. After a century of little change for the industry's business and technology models, auto appears ripe for a period of accelerated transformation. Change is being led by rapid developments in technologies that span the fundamentals of vehicle design. We have seen advances in electric vehicles - and lifestyles transformed by always-on connectivity. Further, personal connectivity has facilitated new business models that lever the burgeoning sharing economy. Ride-hail firms such as Uber and DiDi have become part of the world's urban transportation landscape. Technologies that allow the automated operation of vehicles are creeping in, to make life easier - and safer - for the driver, via a plethora of cameras, sensors and radar transmitters. Known as driver assistance systems, they are typified by already-present car features such as cruise control and assisted emergency braking. How long before these systems render the human driver redundant? In this future scenario, the time-poor passenger will be free to use the in-vehicle time however they see fit. Already, more than half of vehicles sold are available with at least one semi-autonomous driving feature. What is termed 'Level 3' autonomous driving (on a sliding 0-5 scale set by the Society of Automotive Engineers, SAE, with 'Level 5' being full journey on autonomous control) is largely seen as a tipping point for autonomous vehicle technology. The Audi A8 is a good example: Audi has claimed a world first for its flagship saloon's 'traffic jam pilot'. The technology handles the task of driving in a traffic jam or slow-moving highway traffic up to 60km/h (37.3mph). With traffic jam pilot engaged, drivers no longer need to continuously monitor either the vehicle or the road, but must take over when the system prompts them. And, there's the rub: the transition between driver and autonomous operation is potentially fraught with trouble. Studies suggest that drivers who have 'switched off' from driving will take longer to retake control in an emergency situation - longer than manual drivers. At SAE's Level 4, human input is reduced still further, with vehicles able to operate at a high level of automation, perhaps effectively fully automated in geo-fenced areas that are suitably set-up with the appropriate high-resolution mapping infrastructure and street sensors. This brings into sharp focus a big problem with autonomous vehicle technologies. As Tesla's Elon Musk has opined, you can relatively easily nail down 95% of what's needed, in terms of the necessary algorithms and scenarios, but the last 5% is extraordinarily difficult. Variable driving conditions and events at relatively-low speeds in urban areas are especially problematic. While the human driver performs the necessary sensory and interpretive tasks very well indeed, automated systems - however clever the AI and machine learning can be - will struggle to anticipate dangers in the way a human brain can. And, the computing power required when addressing urban driving environments is enormous: It requires around 2.5 terabytes of data to enable an Airbus A380 to fly autonomously across the Atlantic. Some 45 terabytes of data are required to enable a Level 4 autonomous vehicle to carry out fairly routine driving tasks. There's also a moral dilemma associated with the transition to fully-autonomous drive. The ultimate safety argument for autonomous vehicles is uncontested - accidents on the road are overwhelmingly caused by human error. But, there are thorny ethical issues. What if the driverless car is heading for an imminent accident scenario in which human casualties are inevitable - but the net human cost is lower if the car's occupants are sacrificed (rather than say, ploughing into a crowded bus stop)? Who decides on the algorithmic priorities for playing out the scenario? Even worse, if the vehicle parc (vehicles on the road) is made up of some driverless cars programmed to minimise the net loss of human life, but these co-exist with manually driven vehicles, then effectively there's an asymmetrical safety burden at work with the passenger in the driverless vehicle bearing more of the safety burden while the manual car is behaving as a 'free-rider'. It will not be easy to develop freight-carrying vehicles with the required complex tech and capabilities for reliable - and regulatory-approved - last-mile urban delivery drop-off. However, there is no shortage of creative ideas. Renault says it is bringing its last-mile delivery vision to life with its Renault 'EZ-PRO', an autonomous electric light commercial delivery concept featuring shared customisable robo-pods. Interestingly, Renault's EZ-PRO concept acknowledges the need for a continued human element. In EZ-PRO, the leader pod hosts a human concierge who supervises the delivery of goods and services and its robot fleet. Renault says this concierge can focus on value-added tasks, such as supervising the itinerary planning and driverless robo-pods, or ensuring efficient and customised service, such as in-person, premium delivery of groceries or fragile objects. Meanwhile, Mercedes-Benz has talked of a Sprinter van acting as a 'mothership' mobile loading and transport hub for final delivery robots. But, you have to wonder about the practical operation of the delivery robots. Where can they actually go? How do they operate in a manner that means they happily coexist with other street traffic, people and vehicles? What will the regulators' attitude be? The point is, there are major obstacles in the way of the significant deployment of autonomous vehicles and they will take some time to address. Bloomberg New Energy Finance asked 300 automotive, energy and technology executives to name a year when US consumers will be able to buy a 'Level 5' fully autonomous vehicle. Nearly 75% predicted that point won't be reached before 2030. Limited scheme Level 4s, with sizeable fleets, could start to appear in specific domains in the first half of the 2020s and parcel drop-offs could potentially be part of that - but it's a geo-fenced scenario rather than widespread adoption. Although much of the technology needed to operate self-driving cars has been developed, the laws that allow such vehicles on our roads are some way behind. It will take some time to convince regulators - and gain the public's trust - that it's okay to hand over control of a car to a computer while driving at 70mph. 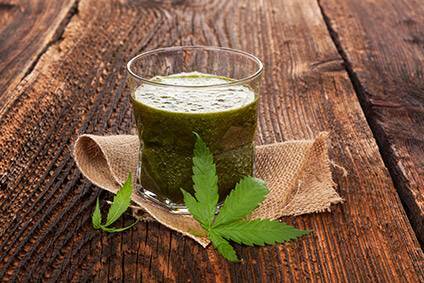 What do food and drinks firms need to think about now? iGrab.it's Balwani believes building a strong digital presence is key, especially as "more brands will want to participate in the ecosystem once last-mile delivery cost goes down". In order to prepare for a world where goods are ordered online and delivered by a driverless vehicle, Brick Meets Click chief architect Bill Bishop believes food and drinks firms should start to "put a lot more emphasis on developing their capabilities in digital marketing and digital merchandising, since the focus of these activities is shifting from traditional media to digital and from the store to the screen". Going one step further, in August, Diageo's incubator arm, Distill Ventures, put forward the case for becoming "digitally native". In a white paper on the subject, Distill Ventures says the spirits category in particular lags behind. The paper says spirits producers will "need to navigate challenges that regulations and logistics present with new and innovative solutions". "Direct-to-consumer brands tailored to ... new behaviours are becoming market leaders through new types of brand-building delivered through a seamless digital experience and great end-to-end customer experience", the report says. Distill Ventures gives the example of China's Hear the Wind Sing – a range of fruit and flower wines launched in 2016. The brand is only for sale online through Taobao and Weibo stores. Hear the Wind Sing also uses WeChat as a brand building activity to "showcase the brand culture". Activity links to the Taobao store which has 187,000 followers. According to Tetra Pak's Online Grocery Report 2018, the frequency and ease of automated delivery will "significantly change consumer attitudes to online grocery shopping, driving them to buy in smaller amounts, more frequently, often for immediate consumption; to store less, and to be much more conscious of food waste". What does this actually mean for packaging? In short, packaging is set to become light and smart. NFC and QR code technologies have been around in the food and drinks industries for years. Usage ranges from combating counterfeiting to relaying brand stories and communicating recipes. When it comes to automated delivery, their function will extend further, allowing a pack to be tracked from creation right through to the end user. "With a supply chain that's interlinked from end to end, brands can make traceability more transparent, sharing information with consumers right down to the farm or grove that a particular product comes from," Tetra Pak says. On-pack technology is already playing a part in unmanned or checkout-less supermarkets. Take China's BingoBox or Amazon Go in the US, for example. In China, customers use a QR code on their mobiles to gain access to the unmanned store and an app to pay for goods. In the US, Amazon Go is a slick supermarket experience featuring 'Just Walk Out' technology, which automatically detects when products are taken from or returned to shelves. There is currently only one store - in Seattle - although the company is reported to be opening another in the same city. Secondary packaging, as well as the size and weight of packs, is likely to be a consideration for supermarkets offering driverless delivery via pods and autonomous cars. When it comes to e-commerce, Tetra Pak says e-retailers report that "space-efficient packaging can reduce transport volume by 30% to 50%". This also appeals to urban consumers in small homes with limited storage. Moreover, a reduction in secondary packaging will appeal to increasingly environmentally-conscious consumers. Reduced food waste could also be a side benefit - if delivery is quick and cheap, consumers may shop on an ad-hoc basis. For this, single-serve packs could be the answer. "Driverless will enable all of the local stores that traditionally have been competing against tech - it will give them an edge to start competing in a better way," says iGrab.it's Balwani. "The timing in the last-mile delivery factor can take two to three hours but imagine that it will be cut to 20-30 minutes. We will not be relying on any human factor at this point." 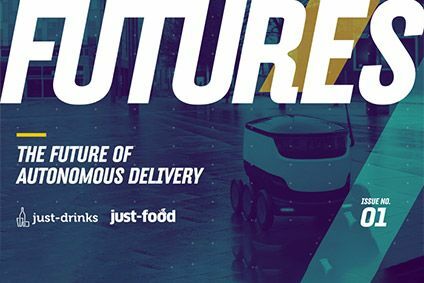 We may reach a stage where food and drinks firms are helping stores to introduce driverless delivery through listing fees or even sponsored delivery pods.